A Boeing-led (NYSE: BA) team has received a potential $4.1B contract modification to provide technical capabilities needed to expand and build up the Ground-based Midcourse Defense anti-ballistic missile system. The Department of Defense said Friday the modification partially definitizes the potential $6.56B contract action that the Missile Defense Agency awarded in January 2018, bringing the total contract value to $10.8B. 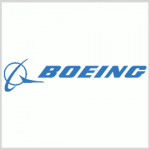 Boeing serves as prime contractor, while Northrop Grumman (NYSE: NOC) and Raytheon (NYSE: RTN) act as subcontractors. The scope of work under the definitized contract modification includes boost vehicle development; ground system software development, integration, assessment and deployment; delivery of ground based interceptors for lab and test events; cybersecurity; operations support through performance-based logistics; and expanded systems testing through flight and ground trials. Work will occur in Alabama, Alaska, Arizona, California, Colorado and other contractor and government sites through December 2023. MDA will obligate $26.9M in research, development, test and evaluation funds for fiscal years 2018 and 2019 at the time of award and will defer the production of 20 additional GBIs “due to the delay associated with not meeting the entrance criteria for the Redesigned Kill Vehicle critical design review,” according to DoD.